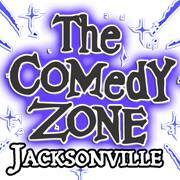 ﻿Published by Sareth Ney on Oct. 22, 2018 at 3:08 p.m.
JACKSONVILLE, Fla. – Comedy Zone of Jacksonville for the remainder of 2018 features local to national touring comedians. On Oct. 23, The Nobody’s Happy Comedy Tour starts at 7:30 p.m. Josh Novey, Brittany Brave and Gabrielle Magid are performing. Tickets are $20. LOL Comedy Night occurs on the dates: Oct. 24 with Patrick Carson, Oct. 30 with Kelly Heatwole and Oct. 31 with Christina Schriver. Tickets are $10. Shaun Jones performs, from Oct. 25 through 27. Three are at 7:30 p.m. on Oct. 25, Oct. 26 and Oct. 27. The late show is at 9:45 p.m., on Oct. 27. Tickets are $18 and $20. Brad Williams takes the stage, from Nov. 1 through Nov. 3. There are three early performances at 7:30 p.m. and two late ones at 9:45 p.m. Tickets are from $20 to $119.50. Hypnotist, Rich Guzzi, dates are from Oct. 6 through Oct. 10. There are five demonstrations at 7:30 p.m. On Nov. 9 and Nov. 10, they are scheduled at 9:30 p.m. Tickets are from $15 to $119.50. Carlos Mencia is set for Nov. 15 through Nov. 17. Three acts take place at 7:30 p.m. and two at 9:45 p.m. Tickets are from $25 to $127.50. Grandma Lee is scheduled on Nov. 23 and Nov. 24. Two shows are at 7 p.m., on Nov. 2 and 24. The late one is at 9 p.m., on Nov. 24. Tickets are $15 and $18. Frank Del Pizzo will have 10 showcases, from Nov. 28 through Dec. 8. 7:30 p.m. is the start time on: Nov. 28, Nov. 30., Dec. 5 and Dec. 6. 8 p.m. is the start time on Dec. 1 and Dec. 8. 8:30 p.m. is set for Nov. 30 and Dec. 7. On Dec. 1 and Dec. 8, the late routines are 9:45 p.m. Tickets from Nov. 28 through Dec. 1 range from $15 to $104.50. From Dec. 5 through Dec. 8, the prices are the same. Carl Strong is scheduled for five presentations. On Dec. 19 and Dec. 20, the show begins at 7:30 p.m. Start time is at 8:30 p.m., on Dec. 21. Two are on Dec. 22, from 8 p.m. and 9:45 p.m. Tickets range from $15 to $104.50. Karen Mills is scheduled for four appearances, on Dec. 28 and 29. They take place at 7 p.m. and 9:45 p.m. Tickets are $15 and $18. NYE Blast Off is $49.